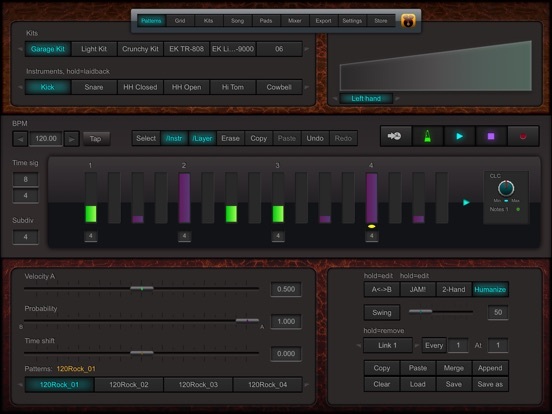 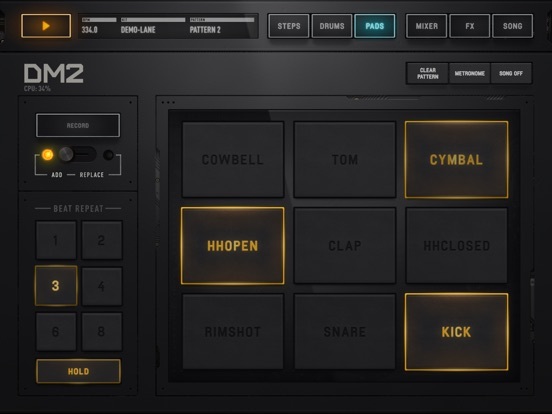 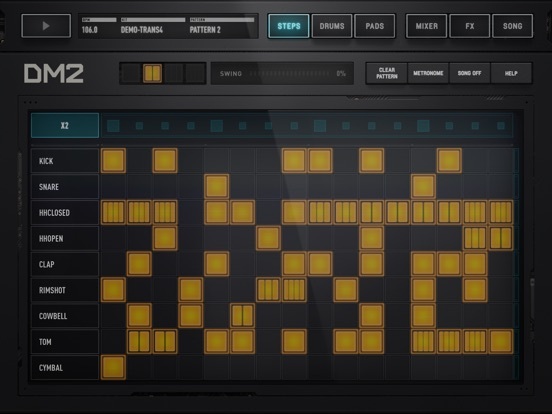 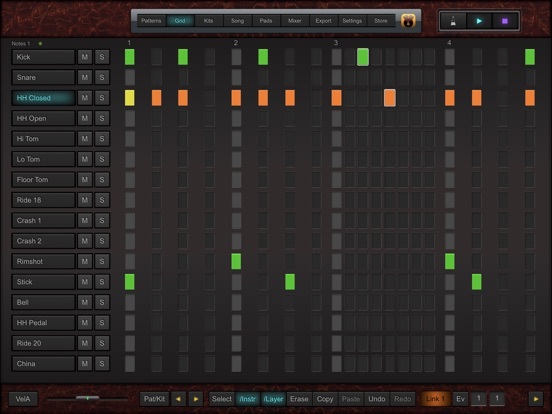 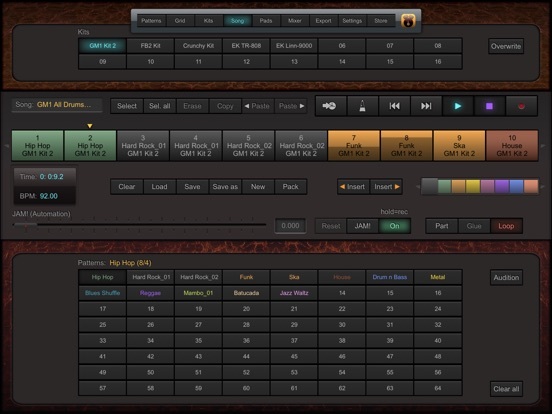 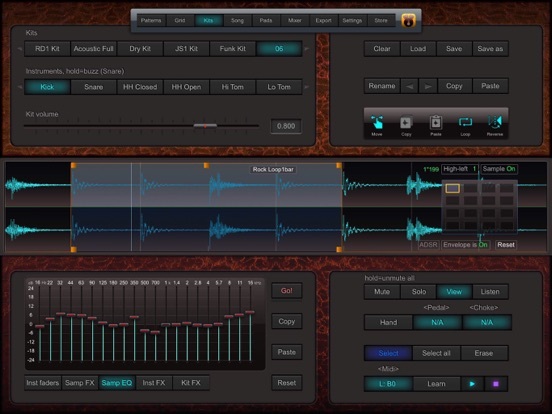 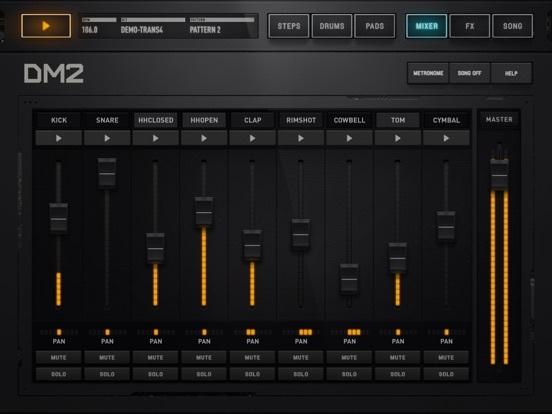 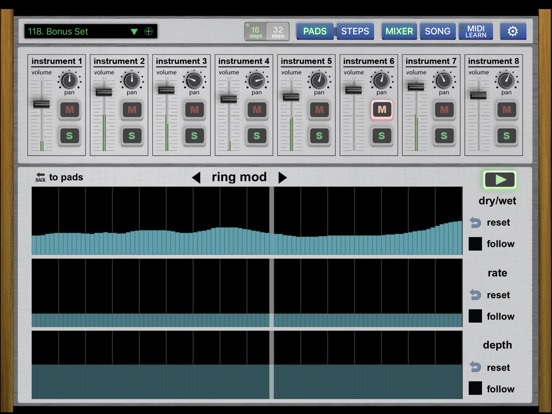 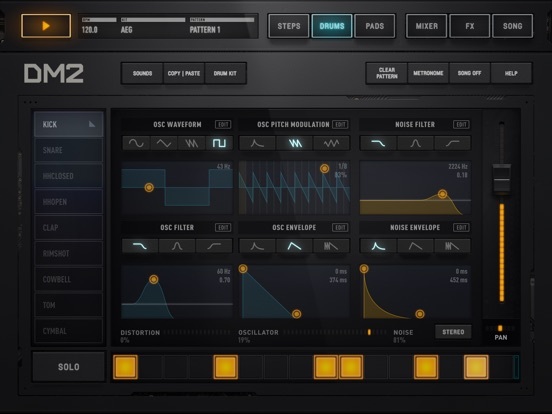 DM2 is a Synthesis Drum Machine. 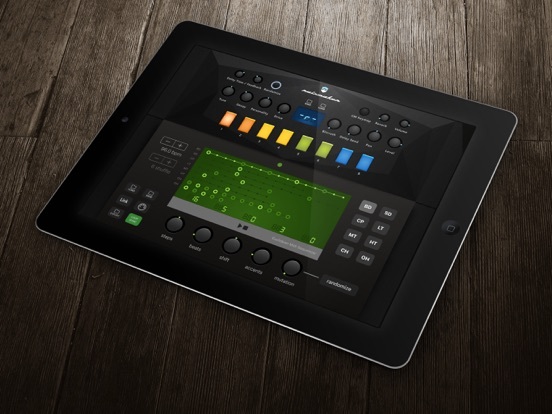 It has been made by the core team that brought you DM1, one of the first Drum Machine for iPad, that won an Apple Design Award in 2012. 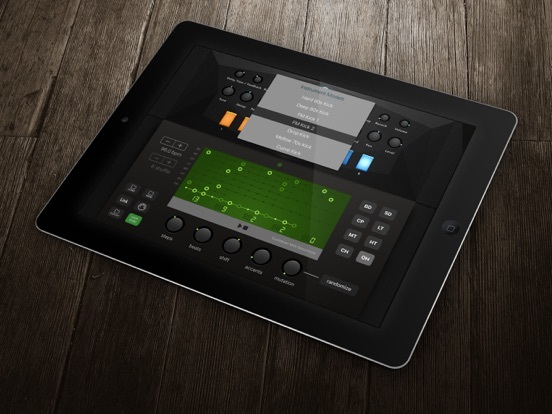 Special 40% OFF price for the first week! 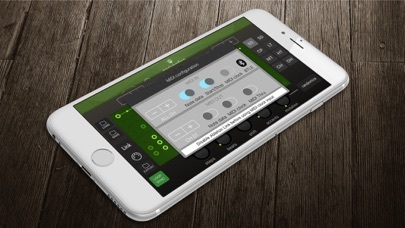 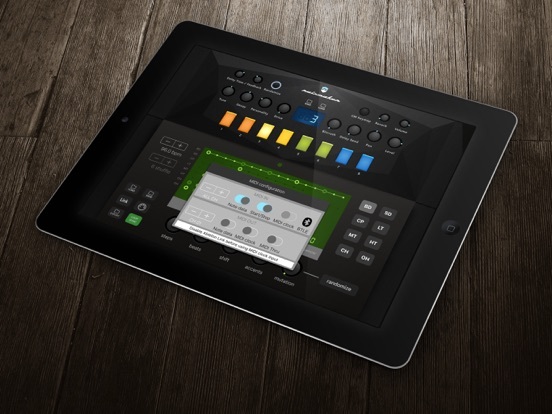 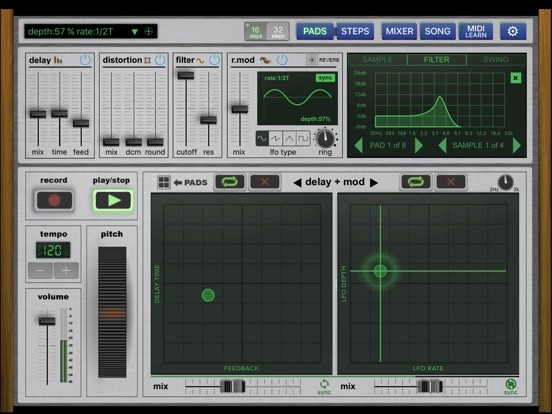 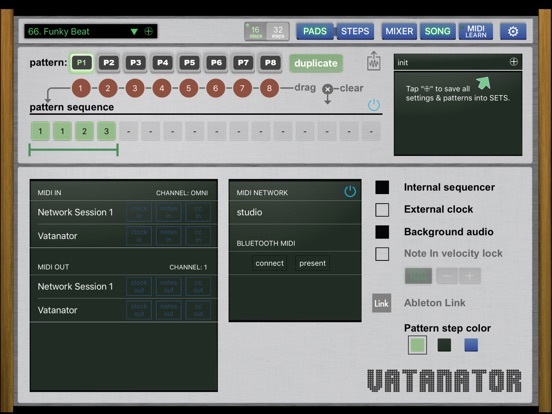 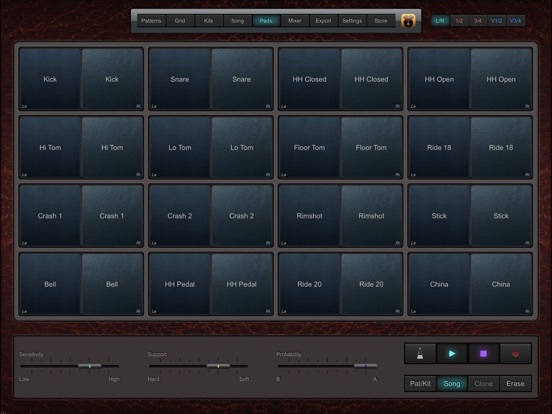 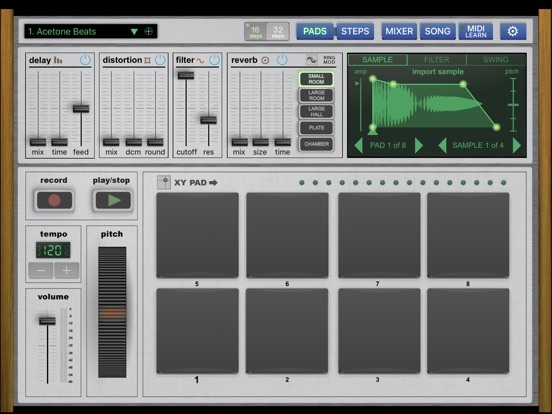 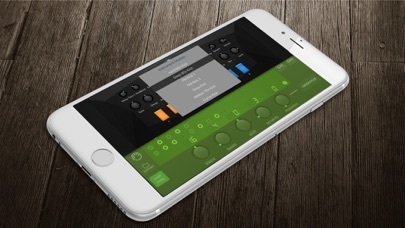 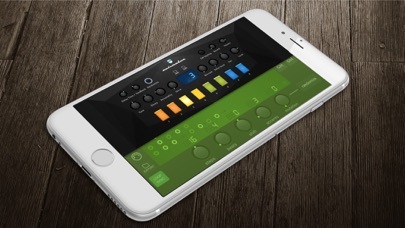 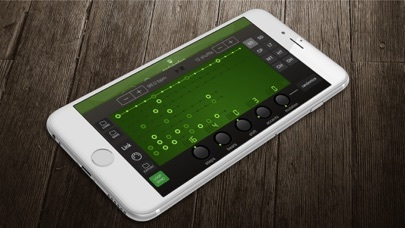 1 – THE STEP SEQUENCER takes advantage of the iPad multi-touch screen for fast and creative patterns drawing. 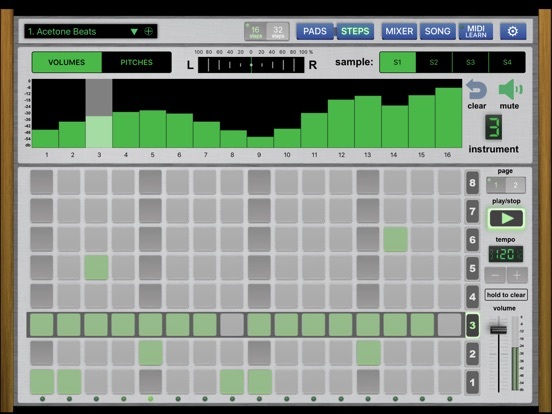 The Sequences handles 16 or 32 steps patterns and is polymetric (just gently tap and drag the blue handle at the right end of each track). 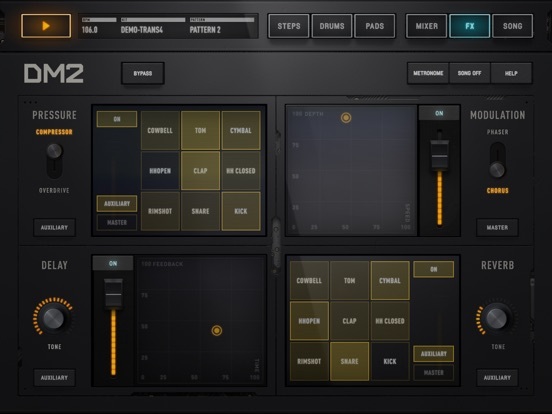 One more thing, DM2 is Ableton Link compatible.